life history strategies. They explore the formation of 'climate relicts', and describe the long history of domestication in the region together with the many reciprocal effects of agriculture on plant ecology. The book concludes by discussing conservation in the region, highlighting five regional biodiversity hotspots where the challenges of desertification, habitat loss, and other threats to plant biodiversity are particularly acute. 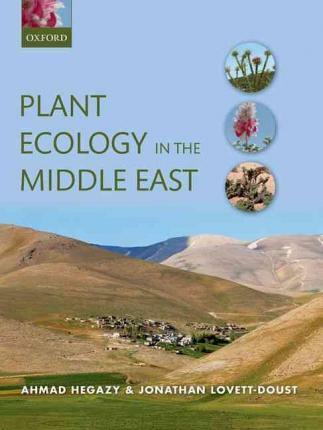 Plant Ecology in the Middle East is a timely synthesis of the field, setting a new baseline for future research. It will be important reading for both undergraduate and graduate students taking courses in plant ecology, evolution, systematics, biodiversity, and conservation, and will also be of interest and use to a professional audience of botanists, conservation biologists, and practitioners working in dryland ecosystems. of environmental articles for Scientific American. Jon Lovett-Doust: B. Sc. (Hons. Biol.) from Queen's University, Kingston, Canada, and Ph.D. from University of Wales. Presently emeritus at University of Windsor. Research in macro-ecology, plant population biology and reproductive ecology. Carried out research in Egypt and elsewhere. Published over 100 scientific papers; co-authored and co-edited several other books.